Carlos Slim. Photo by World Travel & Tourism Council, Flickr - CC BY-ND 2.0. 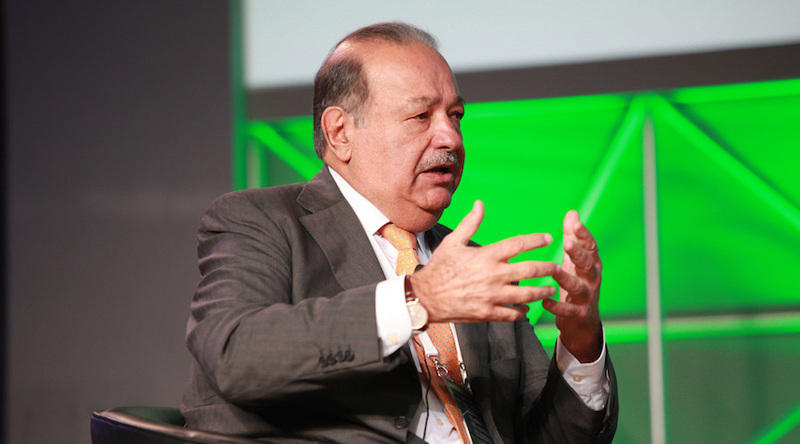 Carlos Slim, who is known as the richest man in Mexico, teamed up with Canada’s Goldcorp (TSX:G) (NYSE:GG) by sealing a deal between his Minera Frisco and Goldcorp’s subsidiary Minera Peñasquito. The deal involves exploring and evaluating possible mining operations in Mexico’s Mazapil Valley, which is in the central Zacatecas state near the Canadian miner’s flagship Peñasquito mine. In a press release issued by the Mexican Stock Exchange, Frisco and Peñasquito stated that will be equal partners in a joint venture whose goal is to amalgamate exploration ground in Mazapil, where numerous targets have been defined. According to Reuters, Peñasquito produced 90,000 ounces of gold in the first quarter of 2018, while Minera Frisco reported an output of 71,000 ounces of gold in the same period.